A quick Cache and Dash in a quiet wooded area of Swansea. Please note the Cache is not hidden within the structure or footprint of the chimney. GPS signal was quite poor when we set this one, if anyone gets more accurate ones please let me know! 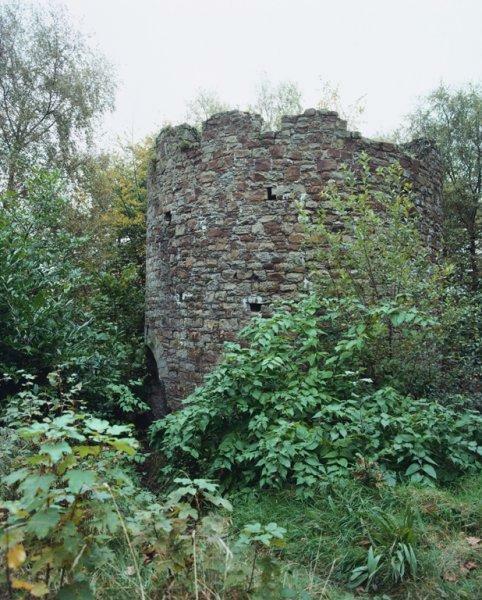 The most prominent surviving feature of the Clyne Woods Arsenic and Copper works, the Ivy Tower is the stump of the main chimney stack of a large uphill flue. This has been embellished with battlements, an internal staircase, a gothic window and a door. There may originally have been a condensing chamber in the base of the stack.